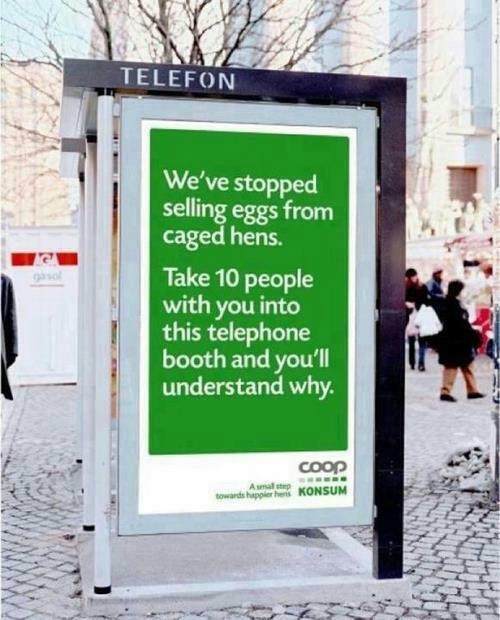 We’ve stopped selling eggs from caged hens. I saw this photo somewhere in my Facebook feed and was so thrilled about the communication strategy. Actually making it possible for viewers to experience the feeling of being smashed together in a small box. Big respect to the agency behind this print!